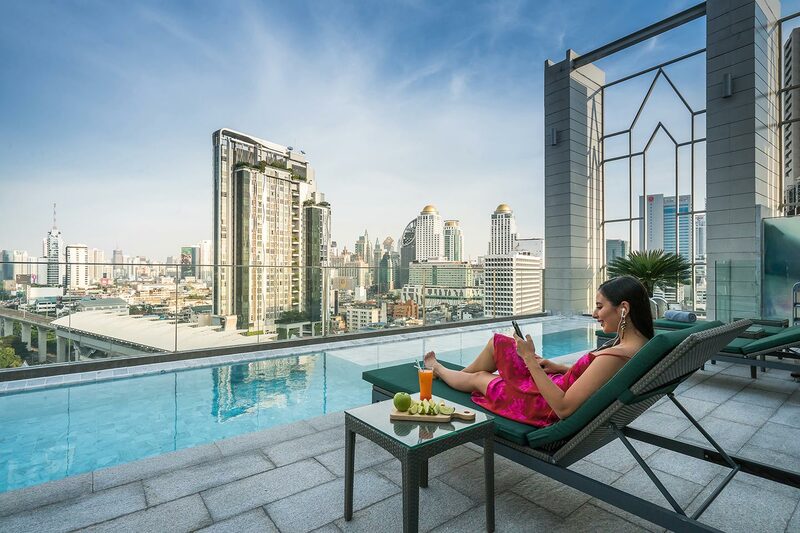 Akara Hotel Bangkok - Enjoy our diverse range of facilities, from the well-equipped fitness center to the pool with a Bangkok's panoramic view. Enjoy our diverse range of facilities, from the well-equipped fitness center to the pool with a panoramic view. 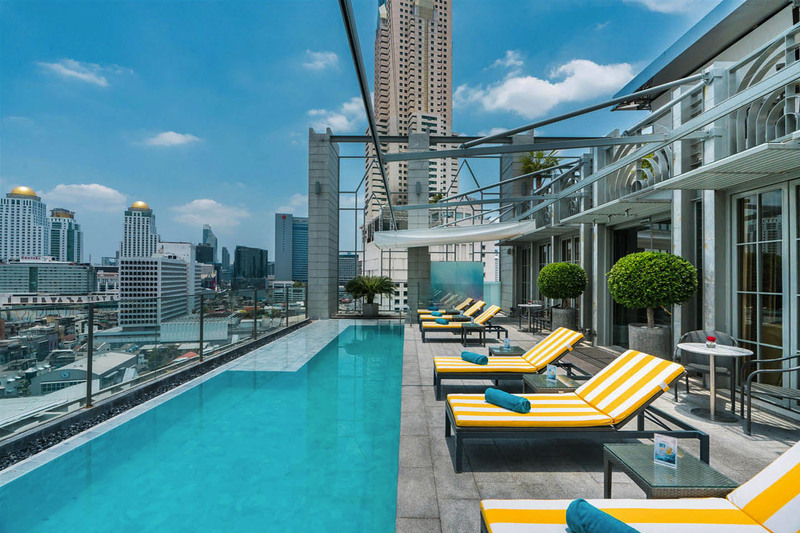 Akara Hotel Bangkok offers an oasis in the bustling city of Bangkok. The rooftop pool is ideal for a morning water workout, to work on your tan while you sip your favorite beverage. Relax on the comfortable deck loungers with spectacular views of the city. Sip on a drink of your choice from our large selection of premium wines, beers, signature cocktails, join us poolside for the daily sun-downer cocktail ritual. Open Hours: 8.00 a.m. - 19.00 p.m. 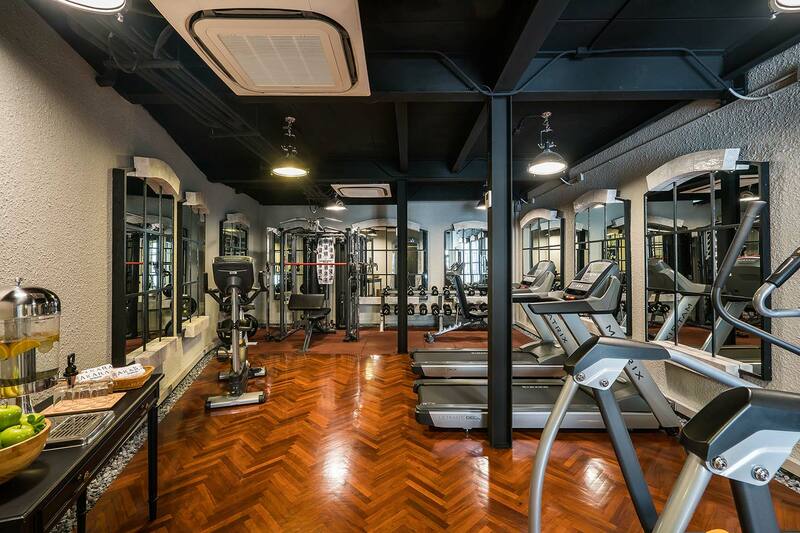 The Fitness Center is a top-class facility equipped with state-of-the-art sports equipment including treadmills, cross-trainers, recumbent and upright bikes, and steppers, lat and shoulder pulls and leg presses. Our hotel guests enjoy complimentary access to The Fitness Center, located on the 3rd floor, the studio features smooth wood floors that harmonize with wood paneling to create a clean and modern ambience. 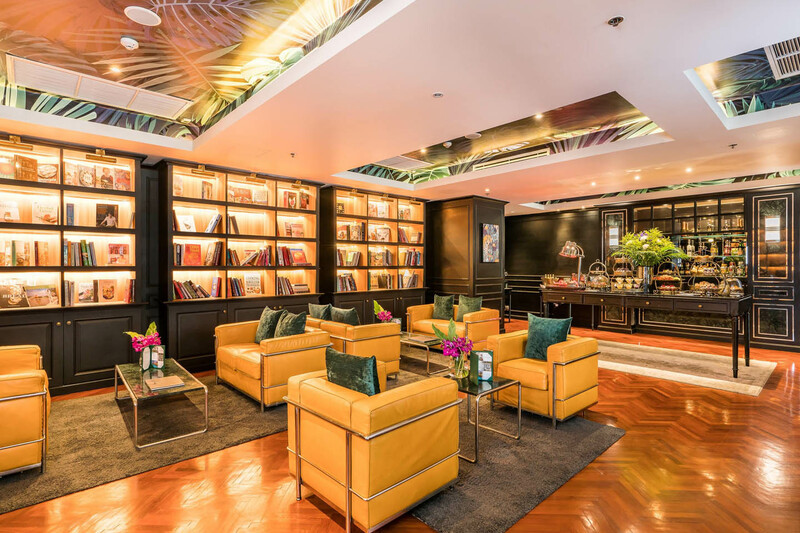 Hotel guests can enjoy quiet moments in The Library reading a book or holding an informal meeting over drinks. We offer a huge collection of books in countless genres and styles. Guests needing a guide to Bangkok will find our travel section of great service. Local and international newspapers are available as well as monthly publications. Open Hours: 8.00 a.m. - 20.00 p.m.
© 2018 Akara Hotel Bangkok. All rights reserved.